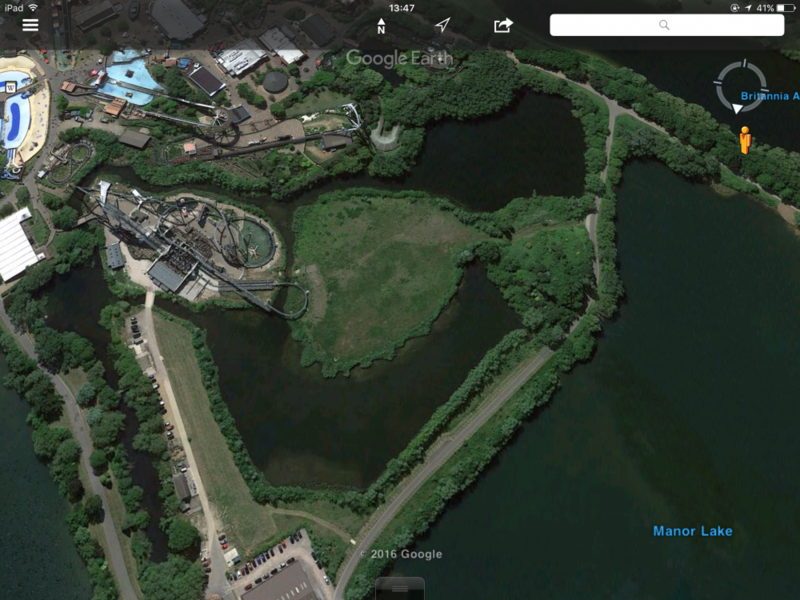 I've noticed that abbey lake is slowly being filled in over the last few years on Google Earth. Now you can clearly see that Thorpe park is creating more land for possible future rides. This is a large area and could be used for a long overdue roller coaster. 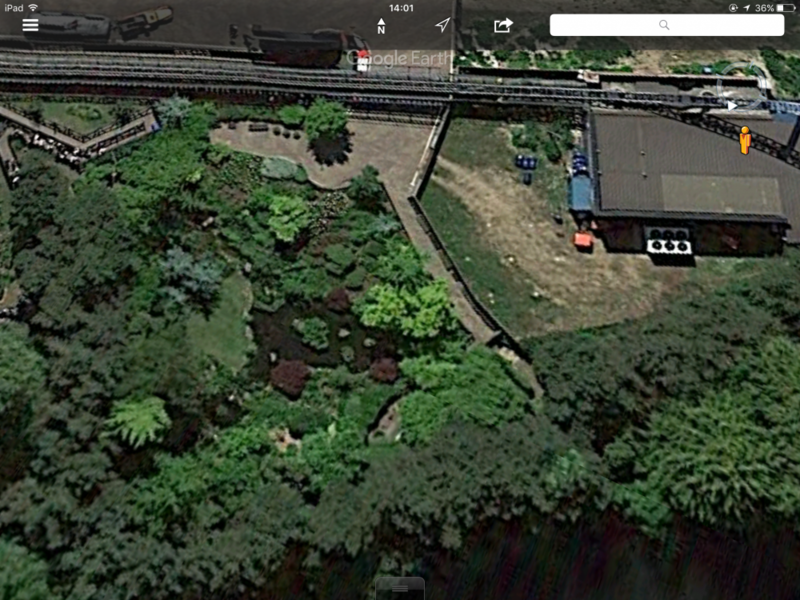 I also noticed a pathway from behind the station of swarm leading to this possible new area of Thorpe. This has probably always been there but could this be the start of a path? Wow sunken gardens has been there for ages. I completely forgot it was there? Sure I saw something about it on here, but they are doing some kind of soil tests on that piece of land behind Swarm, you can see it really clearly from the ride. Definitely think that's where the next big investment will be. I can really see Thorpe creating a new attraction( I doubt a Rollercoaster) on the land from loggers and the old railway. I noticed from saw the other day that it looks like they could be doing some work on the area. When you think about it Thorpe has a lot of space to expand. Does Merlin own most of the surrounding land? Talking about the new coaster does anyone have any more info (or speculation) about the apparent new coaster. Haven't heard much recently since the original rumours. Sorry for double post... I saw a theory that Thorpe were planning a new themed area. I know the maps aren't very accurate but on the 2016 map it's changed Canada creek area to the 'old town' and says area under construction. There are also some old western looking buildings by where the loggers entrance was. I know the map isn't the best source but also after all the speculation about a woodie at Thorpe it would fit the theme. I've heard there's been soil tests around the old railway and behind swarm, could Thorpe and towers be getting a woodie? I know this sounds very unlikely but it's interesting to think about. There probably won't be a coaster there as I don't see the room but this could be a new area and they could open platform 15 as an all year round scare attraction like they did with saw alive with the addition of the saw area. I don't think loggers will re-open and if it does definitely rethemed possibly to this new area. This probably won't happen but it's interesting to think about since the area isn't used. Island behind swarm was left for the ground to settle however it is highly likely that has now happened. It has a 50m height limit and a track length of 900m maximum. That being said the MTDP is almost at an end and a new one will need to be submitted in the next couple of years. The loggers leap area is not designated as a development area however that doesn't stop them building there. I believe it would be a fantastic area for a woodie and a water ride. Until surveying of the site (tripods and a civil engineer in a high vis vest) the park won't even know what they are going for. If you are interested in speculation and theories (which, judging by this topic, you are) then 'the one after WC16' topic has lots of good theories and plenty of speculation for you to read! Hi from what I heard. 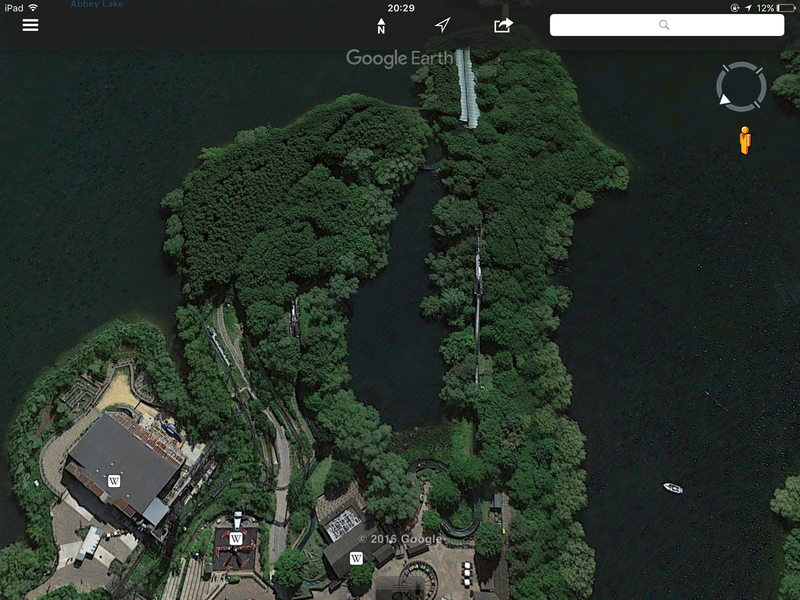 The land behind Swarm and also land were The Shark hotel is could be used to build new rides in the future. The plan was to build a bridge to the island behind THE SWARM where the sunken gardens currently are. There needs to be some way of connecting The Swarm to Stealth. Having to walk around Tidal Wave is rather annoying considering how close they are to each other. Thats what they were saying at this talk, if they develop this other island behind Swarm the plan is to connect it to Stealth, so basically this new island will connect Swarm and Stealth together. I know Thorpe will probably keep slammer and samurai for a few more years but when they do go what should they add there. I've heard talk of a topspin but I don't really think it would be a good addition. Also that would only fill the slammer space. But aren't those types of rides pretty tall, I doubt it would fit in the height limit. Plus the throughput is pathetic, unless they make it upcharge. I place my bets on a Gerstlauer Skyfly, or maybe Merlin will pull a "Six Flags" and add Larson Loopers and market them as coasters..
Skyfly falls in the pathetic throughput category too I think, unless they can develop one which is seated all the way round. I'm quite partial to those loopers as a filler ride. Wouldn't really complain about on. Yeah Skyfly's aren't the best with throughput. But Slingshot/Skydivers throughput is intolerable, maybe even worse than IAC. Yeah, I'm up for a Larson Looper. Considering the fact that the park will not have had a coaster for 5 years (in 2017) then I'm sure anything that can possibly be marketed as a coaster will go down well.